As Future Trends in Technology and Education approaches its third year, I'd like to ask you about the report's future. 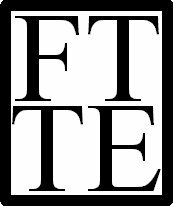 FTTE is very much a network-driven project, and your thoughts matter hugely. So how should FTTE go forward? Should we add media components? Should we alter the existing format? How can it be more sustainable? Answer as many of these questions as you can or like. None of the questions are required; all of your answers are deeply appreciated. The first part concerns multimedia. The second looks at social media. The third, sustainability.